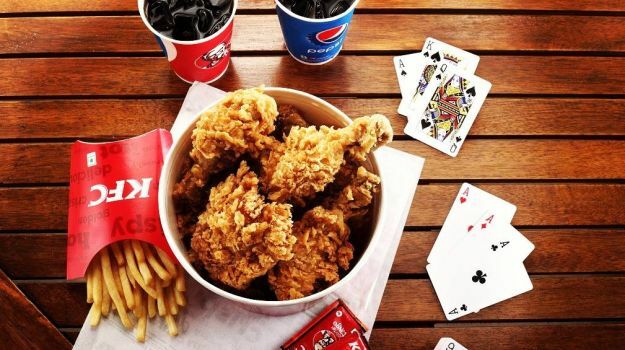 US-based quick service restaurant chain Yum Brands Inc today said the Indian operation of its KFC division has reported a growth of 13 per cent in system sales for the third quarter ended September 3, 2016. System sales is a terminology used in franchising industry to assess the growth of a franchised brand and the sales figure excludes foreign currency translation. In the emerging market category, KFC India ranked third in system sales after Russia and continental Europe. In the developed market, the US and Australia reported 4 per cent growth and Latin America clocked 5 per cent. KFC India Managing Director Rahul Shinde said: “I am very pleased with our results as KFC India reports a return to positive system sales with a 13 per cent growth this quarter”. He further said: “Over the last twelve months, we have focused our energies to restructure our business, decode our core consumer proposition and reset strategy utilising our strengths”. “We are optimistic about leveraging the huge opportunity that India has to offer,” he said.